The unprecedented growth of e-commerce as shopping began to shift from brick-and-mortar businesses to online has created a fundamental change in the way consumers and marketers think about retail. In the US, a whopping 17 million transactions occurred on Amazon in just two days during the annual Prime Day event. In China, Singles Day shopping in 2018 shattered the previous year's record, making $30.8 billion in one day—a 27% increase year over year. Business leaders are quickly realizing that traditional experience models won't be enough to serve and delight today's consumers. At the Digital Marketing World Forum (DMWF), Francesca Pedrazzi admitted, "In the past, it used to be enough to benchmark growth against ourselves, to make sure we are improving. Not true anymore—today we must benchmark against the competition, consumer, and market growth, to make sure we don't fall behind." Even though e-commerce has been associated with retail industries, the increased frequency with which consumers shop and interact with brands online is forcing change across multiple verticals. Consumers now have high expectations when booking travel, managing finances, and conducting their daily online lives. Today, consumers have become accustomed to the type of familiar, easy, and frictionless engagements that e-commerce has come to stand for. Marketers can do well to learn from e-commerce to find ways to provide better service experiences. Once limited to a few key shopping sites, e-commerce—slated to grow to $4.5 trillion in 2021—is now a heavily invested-in initiative for many top brands and retailers, and Millennials now make over 54% of their purchases online. With e-commerce growing so quickly, businesses large and small are finally making online shopping a key component of their overall business strategy. 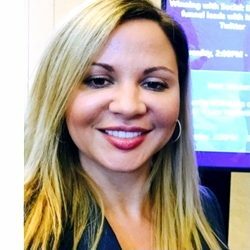 Inga Romanoff is a martech practitioner and CEO of marketing automation consultant firm Romanoff Consultants. A Marketo Premier Partner, she is a five-time Marketo Champion and a REVVIE winner for Most Dramatic Business Impact.